I was quite happy with the result when I changed my food blog's layout. However, from a bright and cheery orange and red theme, it is now cool blue and black. While I can easily change the background to something else, I find the new colour scheme easy on the eyes. 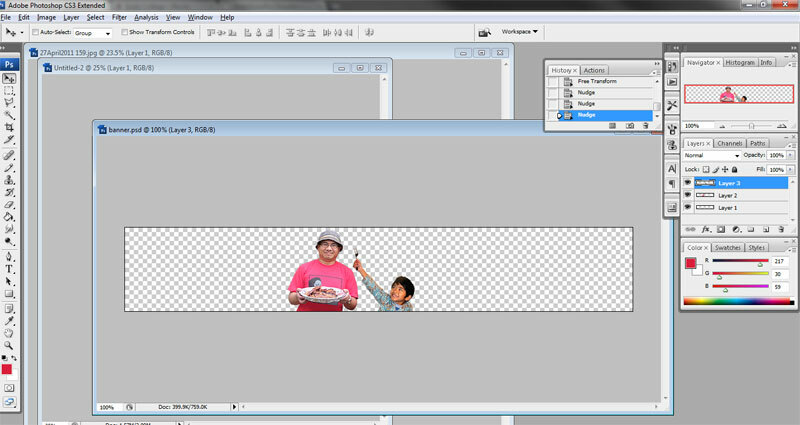 But I'd still like it to have a welcoming feel to it and so I decided to add a couple of smiling faces to it. But how do I integrate these seamlessly and not interrupt the flow of the background? The answer: make the background transparent. 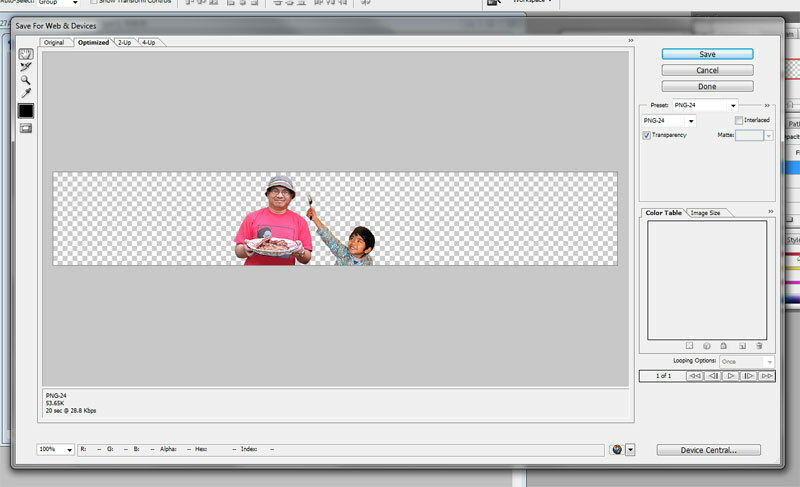 So I started by cutting out the persons from the photos using the Magnetic Lasso and the Polygonal Lasso tools. I copied and pasted these onto a new layer, ready for transfer. 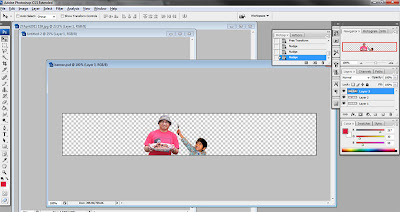 And then I created the canvass by clicking File > New and indicating my desired dimensions. 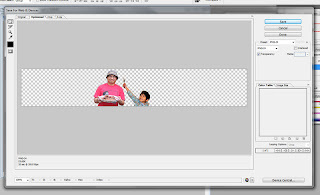 It is important to make "background contents" transparent. The resolution is 72dpi. When the canvass is created, you will see a checkerboard pattern. This is what you want, as this means that the background is transparent. Next, I dragged the images onto this canvass and resized them accordingly. 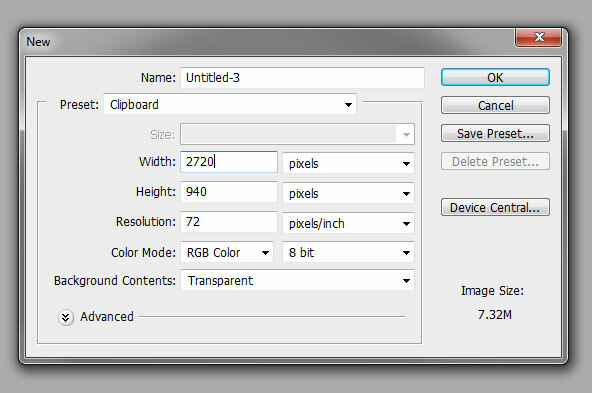 See the screenshot below; notice on the Layers pallete at the right hand side that the two images are on different layers. 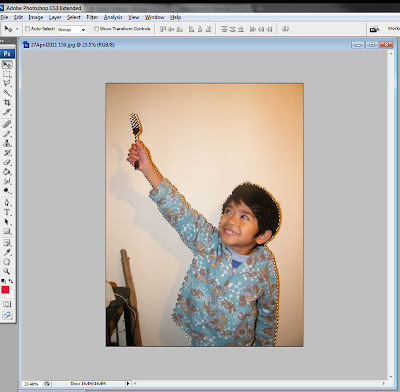 Do not flatten the image as this will remove the transparency and create a white background instead. On the right-hand menu, choose PNG-24 to keep the colours intact. 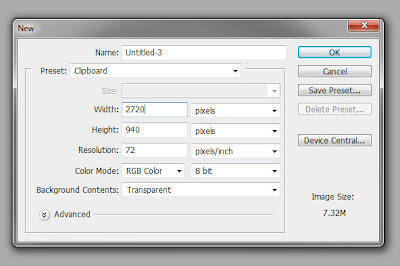 After choosing PNG-24, a Transparency checkbox will appear immediately below this. Tick this box. Choose a filename and save. Voila, an image with a transparent background. You can view the result at my food blog.